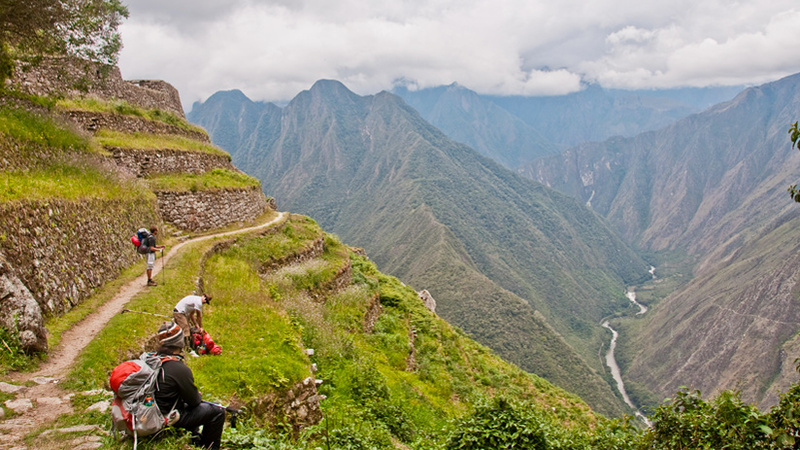 The Inca Trail is seen as one of the most challenging hikes in Peru. With its final destination Machu Picchu, it attracts thousands of trekkers every year and is crossed out on countless bucket lists. 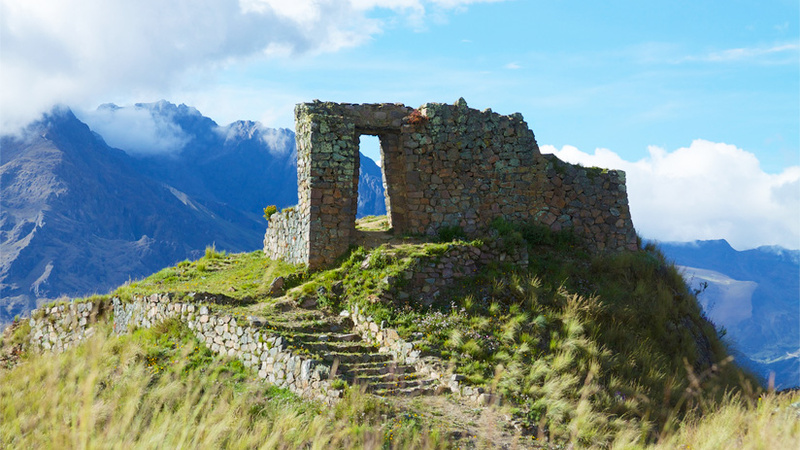 Though the Inca Trail can only be operated by booking through an agency that will take care of everything, there are some things worth knowing before you start your adventure along the ancient footsteps of the Incas. 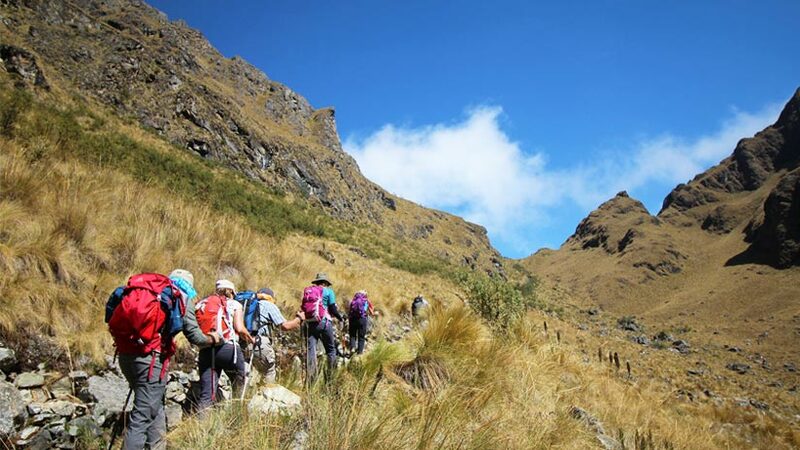 The most popular Inca Trail is the 4 day / 3 night one. There are also shorter ones where you will only hike a part of the path. Here we will focus on the traditional one. To be able to enter the Inca Trail you do need a special permit that only a certified travel agency can get for you, as mentioned above. Be aware that tickets are limited to 500 per day which are distributed in around 1/3 for tourists and 2/3 for guides (without them you cannot enter either) and porters. Porters are also known as chasquis and carry part of your things that you need for the trail such as a tent and your duffle bag (most companies provide a duffle bag of usually 6 kg, make sure to ask). You would only have to carry a backpack with water, snacks, clothing to change, etc. Chasquis are incredibly important as without them, you would have to carry everything yourself. 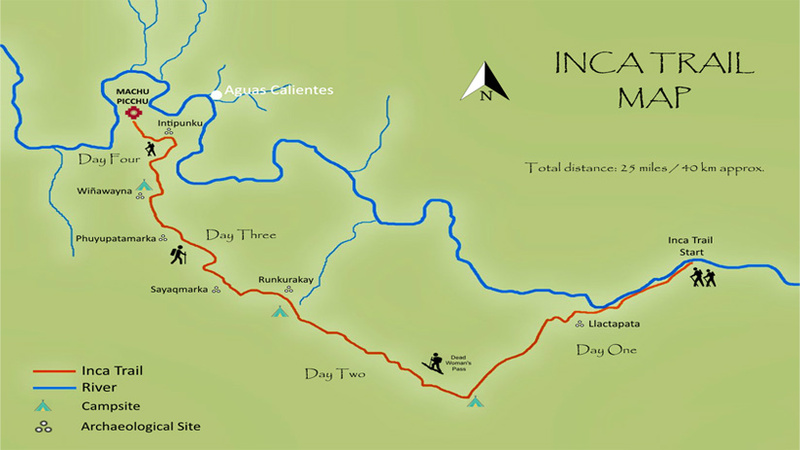 Also important to know for your Inca Trail booking is when is the best time to do the hike. In general, year-round is good except for February, when the trail is closed due to heavy rains and maintenance. The Andes are divided into two main seasons: dry and rainy season, each of them with pro’s and con’s. Pro: You will hardly encounter any rain, days are sunny and skies clear. The perfect weather for trekking. Con: This time is also when the herds of tourists come to visit, so be ready for a very busy hike. That also means that tickets sell out months in advance. Nights are quite chilly. Pro: Lush nature will be expecting you and there are notably less people sharing the trek with you. You might find that tours are a little bit cheaper and tickets do not sell out so fast. Nights are not as cold. Con: As the name says, you will probably encounter rain. Though the weather in the Andes is quite unpredictable, be prepared. Be careful as parts of the trek can be slippery. As mentioned, especially in dry season the permits for your Peru Machu Picchu hike can sell out months in advance, sometimes up to one year for popular months such as May, June and July. What do I need to know about the trek itself? For this adventure you have to go to the city of Cusco first. From there you will be transported to Ollantaytambo, a small town in the Sacred Valley and around 2-hours from Cusco. By train you go to KM82, the starting point of your hike. Along the trek you will find that elevation changes severely. While the first days it is mostly uphill and quite strenuous, the remaining days are a bit easier. It is of utmost importance that you are properly acclimatized, so come to Cusco at least 2 days before your hike! Many people are afraid that the hike might be too difficult for them. Certainly, it is none that you should underestimate, but with acclimatization and some exercise before your tour you should be fine. Please note that for everyone it is different. 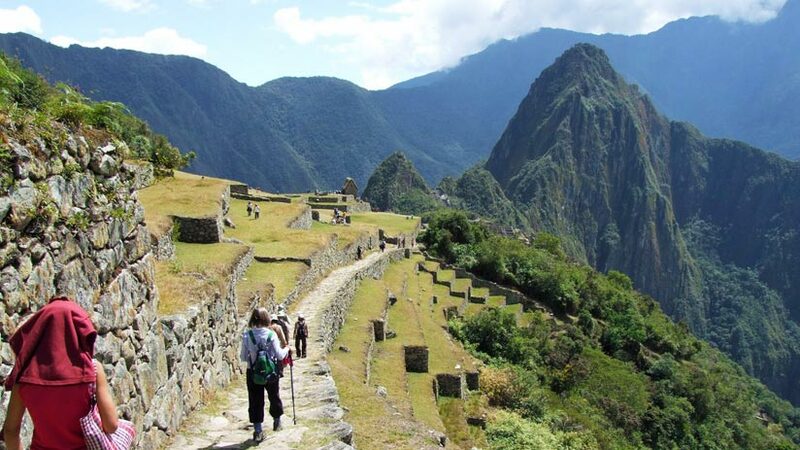 The Inca Trail is also the only option that lets you enter the Machu Picchu sanctuary through the Sun Gate, which was once the original entrance. From there you get a fascinating view over the whole citadel. Once there you can not only appreciate the impressive Inca remains, but also do extra hikes, if you are still keen on hiking. 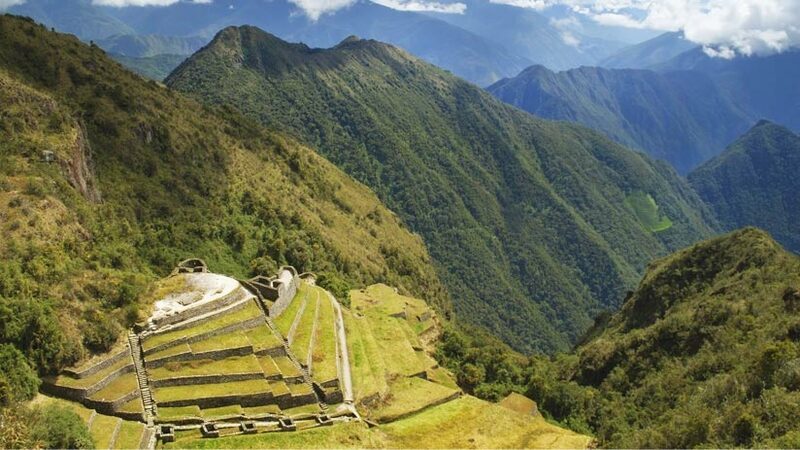 There is Huayna Picchu and Machu Picchu Mountain, for each you need an extra entrance ticket. Please ask your travel agency for advise, as they need to know the moment you book the trek. Pack light! Porters will carry most of the stuff needed but since the shower situation along the way is not the best (only with very cold water!) everyone will be sweaty eventually, even if you bring four pair of clothes. So let’s be real and just take the most important things. As elevation changes constantly you have to be prepared for changes in temperature. Take the necessary layers of clothing with you and do not forget your rain equipment! You will not encounter any pharmacies once you started the hike, so make sure to bring every medicine you need and be prepared for emergencies. Sunscreen and a hat is also mandatory since sun radiation is very strong. And of course, the most important item: Your passport. Without it you will not get in, neither the Inca Trail nor Machu Picchu. Almost every agency will be happy to provide you with a packing list so you are fully prepared for your Peru Machu Picchu hike. After doing the Inca Trail you will find that it was not about arriving at your destination Machu Picchu, but the hike itself all along and you made it! Peru Travel Tips, Travel To Machu Picchu, Travel To Peru, Uncategorized adventure, cusco, history, inca trail, machu picchu, sacred valley, travel to peru, treks. permalink.